Preschoolers love to make animal shapes, so why not create vibrantly-maned lions out of something you can grab from your own backyard? 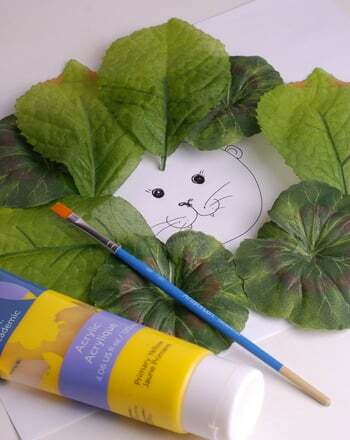 Using a variety of leaves, this fun activity is a great way to entertain children with animal fun. They won’t believe their eyes as they create an authentic(or just plain wild) lion out of leaves. Head to the great outdoors (but keep an eye out for lions!). 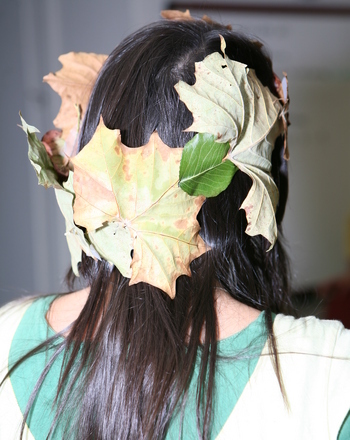 Spend time with your child gathering several leaves in various sizes. Make sure they are dry and their stems are broken off. Once you're safely inside, place a piece of white paper in front of your child and help him draw a large circle on it. This will be the outline of the lion’s face. If it’s crooked, great! The idea is to let him draw the shape he thinks the lion’s face should be. 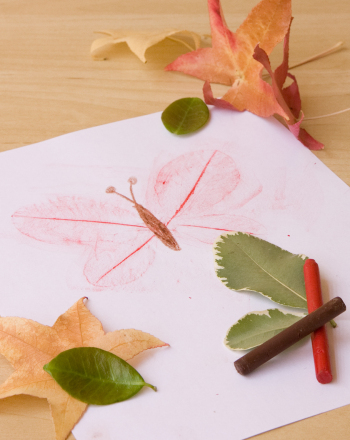 Have your child brush some brown or yellow paint on a leaf. Make sure it’s not too heavily painted on or the veins of the leaf won’t show through on the paper. Turn the leaf over, and show him how to press the leaf onto the paper like it's a stamp. Be sure and stamp the leaf around the edges of the circle. 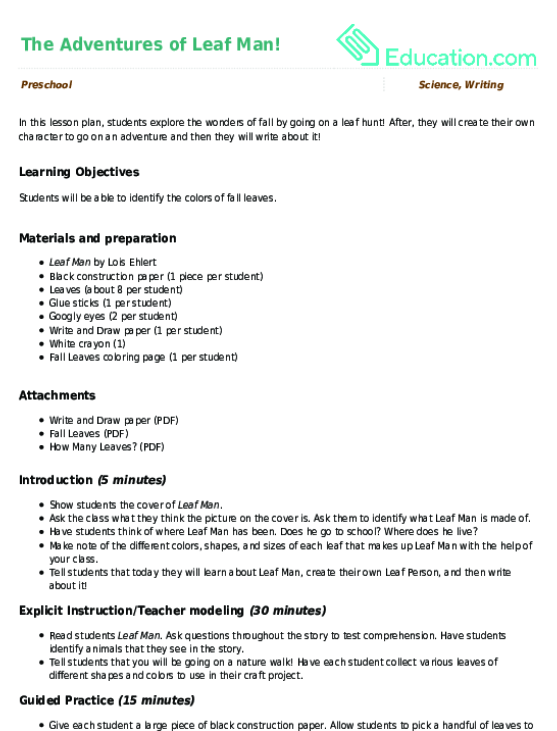 There should be a nice leaf print on the paper. Continue to paint and press the leaves all around the top half of the circle. Try overlapping some of the prints and encourage your child to use a variety of colors and a variety of leaves. Soon, you’ll see a mane start to form around the circle. 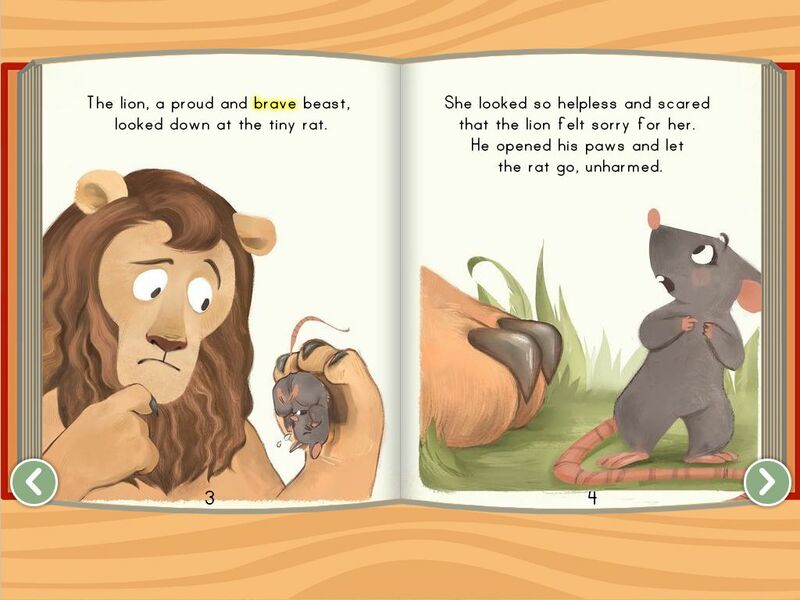 After it’s dry, ask the child to draw the face of the lion in the centre of the circle. Ask him whether he thinks lions have whiskers and what shape their noses are. 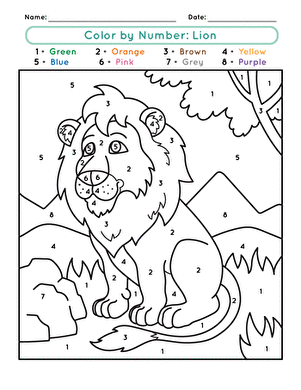 Together, you’ll create a one-of-a-kind lion! 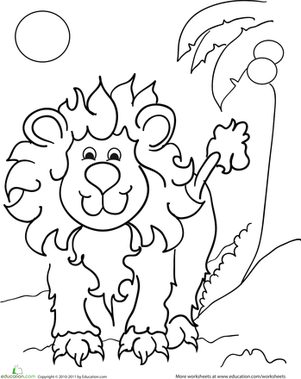 This cute coloring page features the lion, king of the jungle and a happy animal, today. It's L for Lion, the king of the jungle. 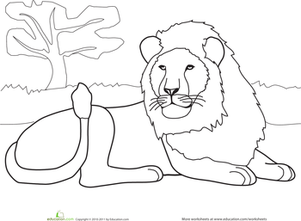 Ask your preschooler to try to say words that begin with L.
This coloring page features a lion taking a moment to lie down and relax.